Sowwah Island Central Park — Landworks Studio, Inc. 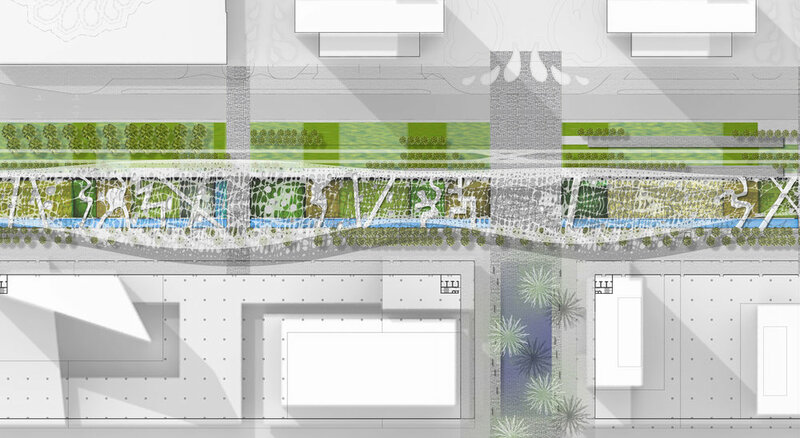 This proposal seeks to establish a bold new image of an urban park that is born out of a dynamic synthesis of city infrastructure (including the tram), architectural program, park program, intensive micro-climatic settings, vibrant indigenous plant communities and an aggressive public art agenda. It will do so while building on a series of principled planning strategies already at work on Sowwah Island. As a means of enlivening the center of the Island, this new park will draw toward the Central Business District the dynamic urban energies from districts to the north and south. Through a dense bundling of the majority of active park program at the center of the site (see earlier diagrams), our proposal seeks to reinforce and thicken the central spine of the city. This area will become a catalyst, energizing Central Park and The Spanish Steps. 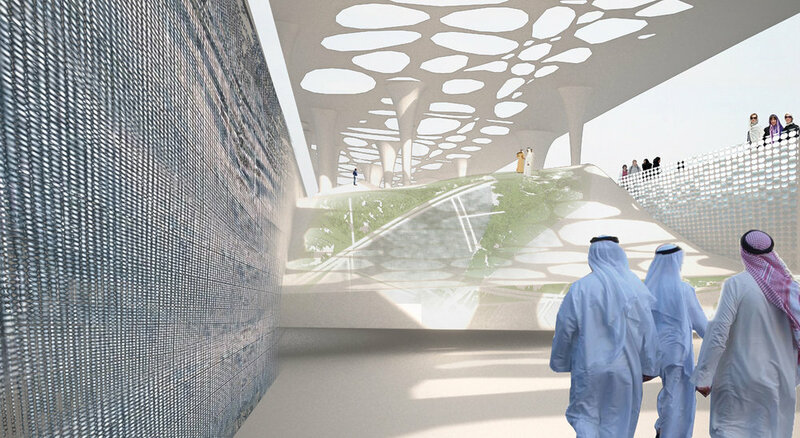 A more dynamic and plastic spine of interesting and robust landscape experiences will come to characterize the corridor moving north and south through Sowwah Island. This adjustment to the figure or focus of the park allows for a more suitable and autonomous relationship between the public realm of the Park and the more private domains of the various office towers. Strategically, our approach capitalizes on the multi-tiered structure of the city to expand the realm of the park vertically into the plinth of the city. Accordingly, park spaces and park program engages, in various ways, the visitor at all three levels of the city. 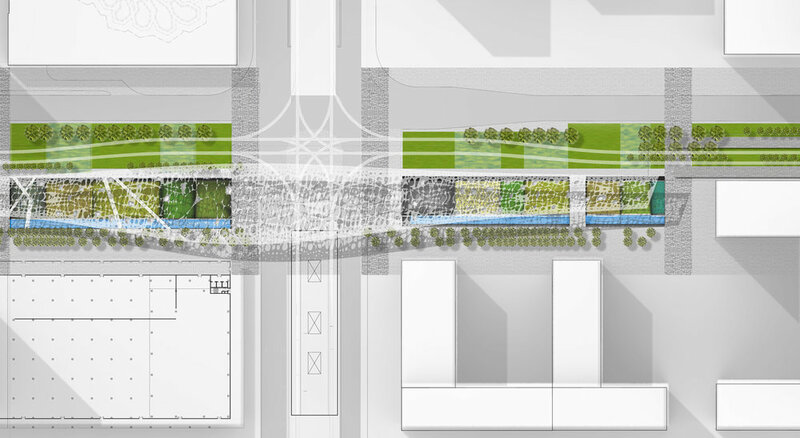 By conceptualizing a park as a series of layers, we are able to creatively respond to a range of programming requirements including the expansion of pedestrian networks and loops to and between programmatic areas of the site. The expression of The Park and Steps that is engrained into the section of the city also provides a greater range of spatial and environmental conditions that will broaden park uses and create more comfortable and useful places to recreate and to be in the landscape.